Sorry to Bother You is the surreal first picture coming from the mind of Boots Riley, musician and activist. The story centers around Cassius Green (Lakeith Stanfield). Desperate for a job, Cassius attains a job a rinky-dink telemarking center. He starts excelling at his job once he realizes he needs to speak in a “white voice” in order to close deals. His fast track to success is paired with an uprising in the telemarking center with a mission to increase their wages. Cassius joins the coup until he is promoted to the prestigious job of “power caller”. Now Cassius is thrust into a lavish yet somewhat sinister world of telemarking, and his conscious fights against itself over this troubling new lifestyle. Honestly, it was really tough not being able to divulge certain plot points in the quick summary you just read. However, you will see how it pays off. 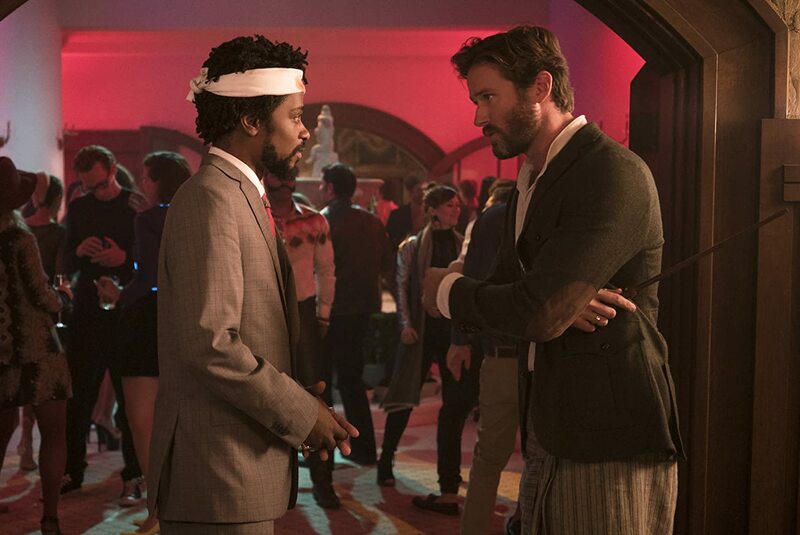 The shocking and wild humor that Sorry to Bother You boasts is truly worth the surprise. The comedy touches subjects like race, economics, slavery, and plenty of other subjects that would trigger most people. This film uses comedy to deliver a powerful message about our society today. 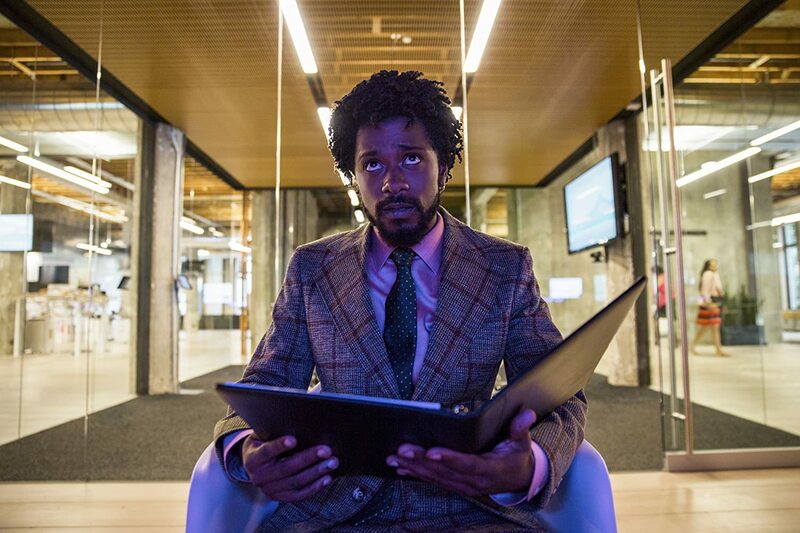 Sorry to Bother You is truly a political film, yet the entertainment value makes the audience feel as though they are watching a fun and inventive comedy. Boots Riley’s direction and writing makes it hard to believe that this is a debut feature. His ideas on the working class versus the ruling class are very bold things to put into the world of Hollywood, and he adds to his message with themes like race, love, conviction, and so forth. His thoughtful script paired with the imaginative world he builds is truly worth the watch. Wanna know what else is worth the watch? The cast. It is honestly refreshing to see such a diverse group of actors. The story is told from a perspective most people don’t get to see, a perspective that isn’t their own. It is interesting to see these characters navigate this bonkers world that Boots Riley created. Lakieth Stanfield has been on my radar since Short Term 12, and it was so awesome seeing him take on such a cool lead role. He knocks Cassius out of the park. From awkward moments to moments of triumph, proving his acting range is stellar. I also have to give credit to Armie Hammer for conjuring up a hilarious villain, Steve Lift. His commitment to the craziness of the character and his convictions makes the film that much more hilarious. The cast is fantastic, everyone has their moments to shine and they all offer a unique perspective that adds to many layers Sorry to Bother You has. REVIEW — "The Equalizer 2"